South Korea’s answer to the threat posed by North Korea could be the manned robot from Aliens. OK, the new 13ft machine isn’t the exact same one from the film but it looks damn similar. Just like the human controlled machines from Aliens and Avatar (both James Cameron directed films) the South Korean design can also be manoeuvred by a pilot from inside. All they have to do to raise the 130kg metal arms is make the same movement with their own limbs. The Method-2 robot, which weighs a staggering 1.5 tonnes, was the brainchild of Vitaly Bulgarov who was a designer on the Transformers, Terminator and Robocop films. You probably now understand why it looks so familiar. 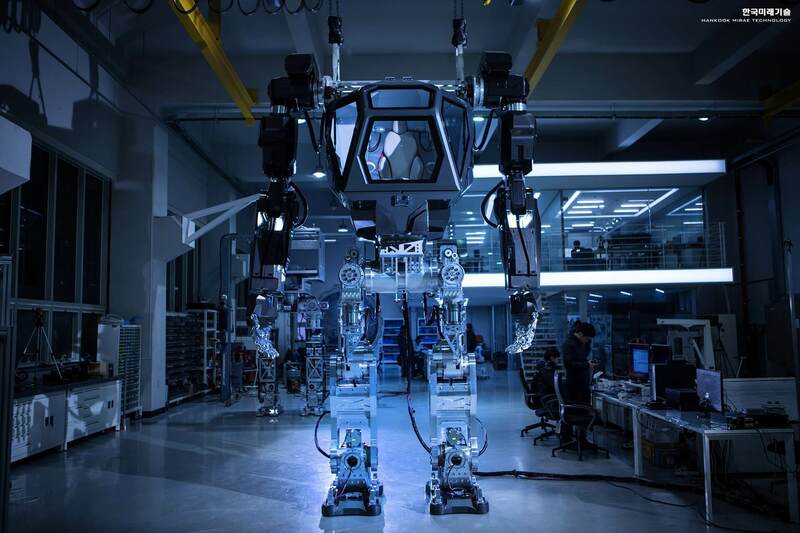 ‘Our robot is the world’s first manned bipedal robot and is built to work in extreme hazardous areas where humans cannot go,’ said Yang Jin-Ho, who is chairman of Hankook Mirae Technology, which bankrolled the project. The video above shows the machine stomping around in a terrifying manner at a test lab on Tuesday in capital Seoul.